Looking to the Winter Talks - help wanted. 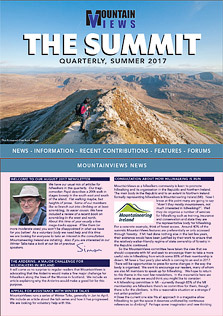 UNSUBSCRIBING If you don't want to receive any further monthly newsletters from MountainViews click on Settings. Then change the option beside "Include on occasional mailing list" to "Do not include". Then click the "Save" button.